Mike Nesmith and a gold music note, Peter, Davy and Micky with a silver music note. 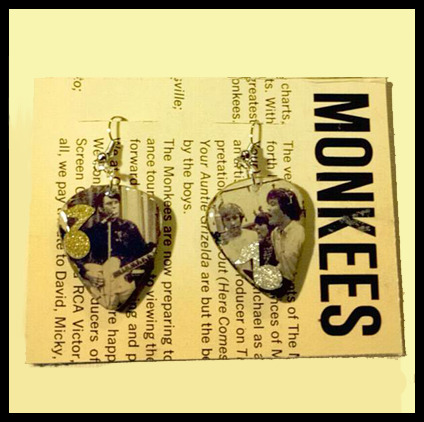 *Only earrings with ALL the Monkees on them! Colorful stripes with dried flower petals and amber colored flower gems. Fish hook style earrings.